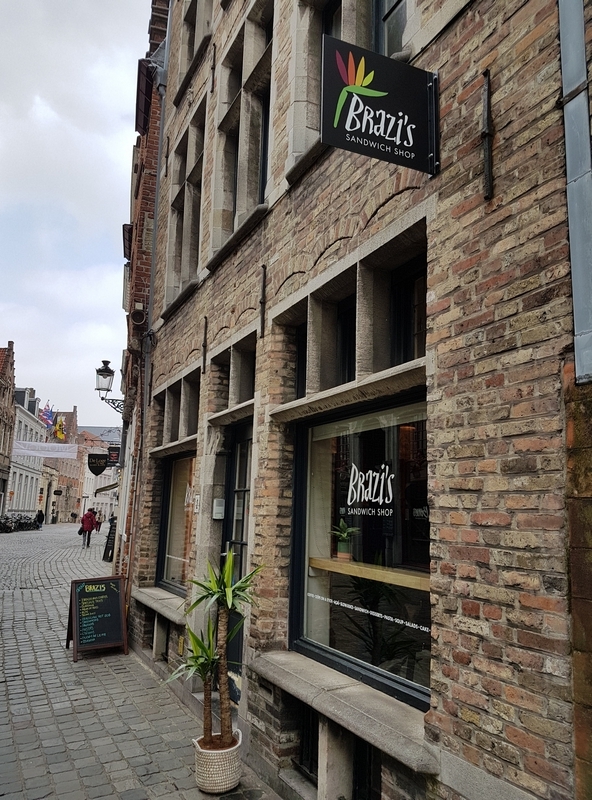 restaurant review #184 – Brazi’s is a sandwich lunch cafe. 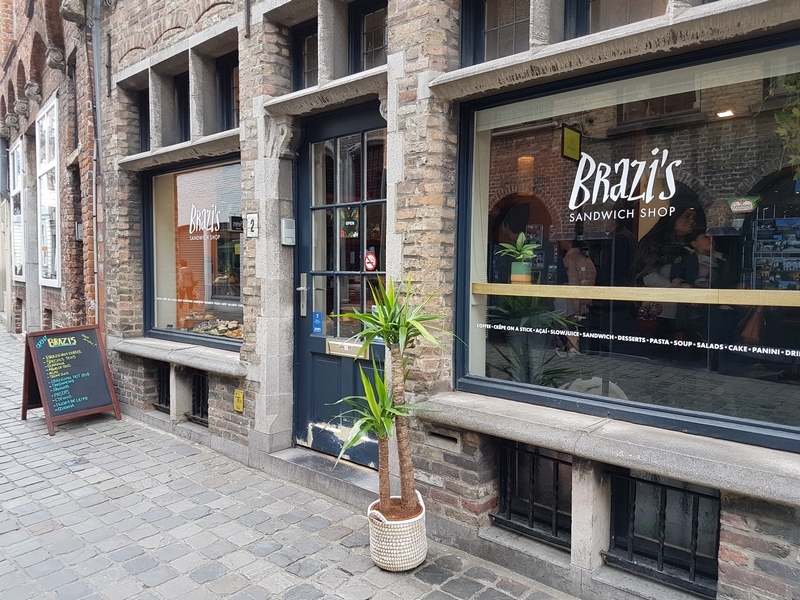 It mainly offers take-away (there are a handful seating places too). 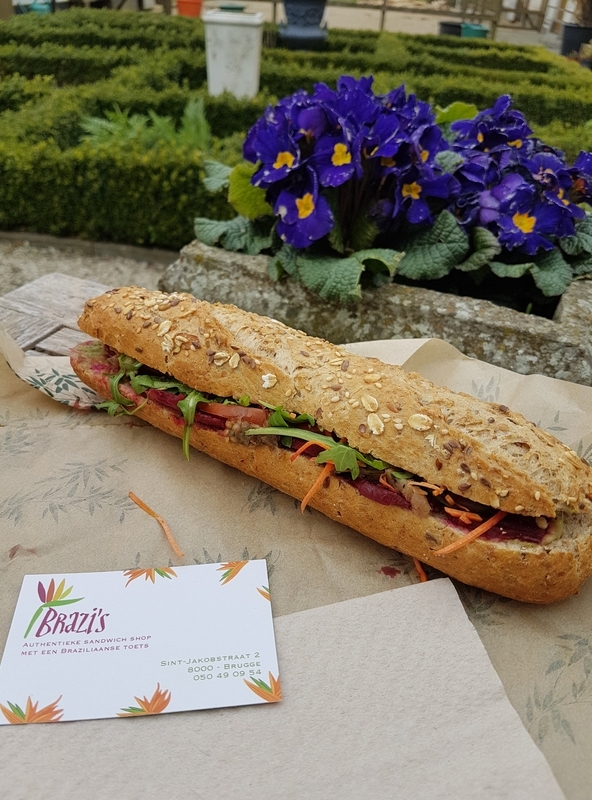 As the name suggest, Brazi’s is a sandwich shop with a ‘touch of Brasil’ (website). 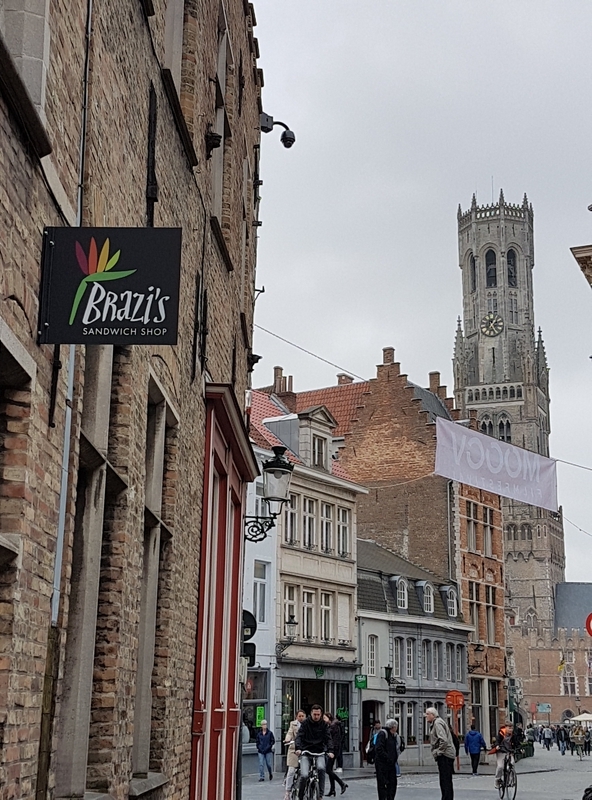 It is located very close to the Central Market place, in the same street as vegan shop Leeloo and restaurant De Republiek. 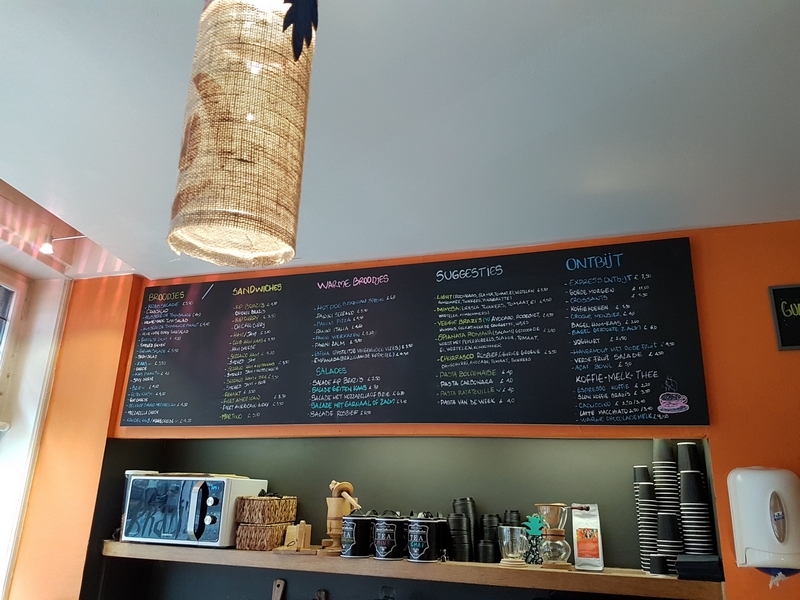 I was looking for a quick lunch to take home with me and went in to ask whether they have any vegan options. The lady at the counter was very friendly. 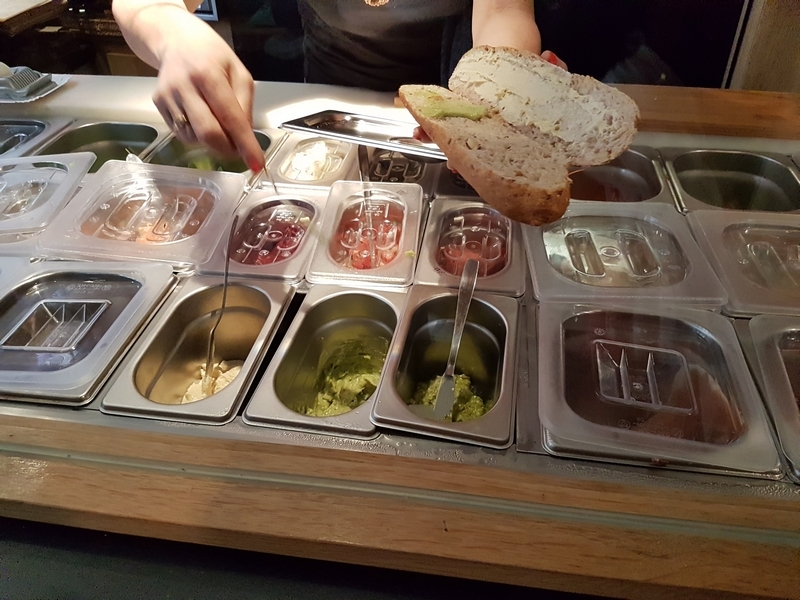 I was offered a sandwich with hummus, guacamole, eggplant, tomato and raw vegetables. The bread was said to be vegan. 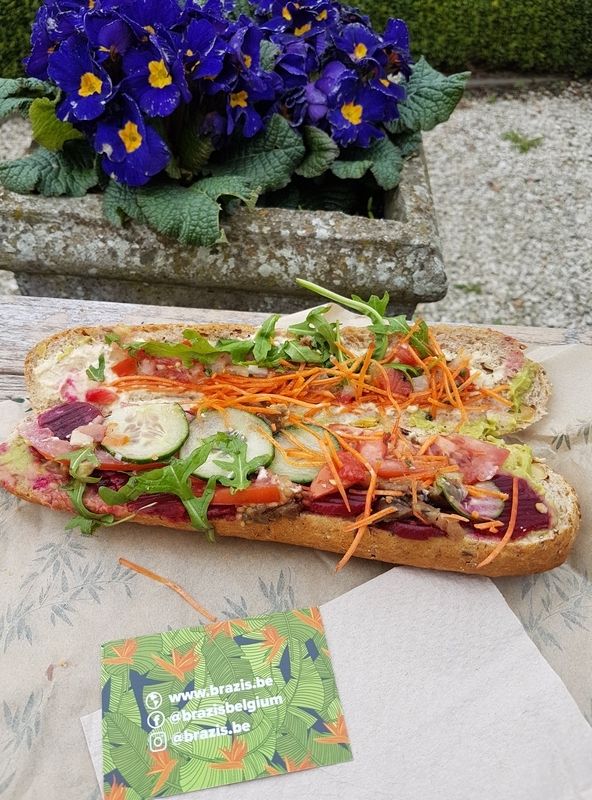 So I bought that sandwich to take away (5€). The sandwich was nice!